Mr. Rada provides a unique perspective of the litigation process, as he is well versed in the law and civil practice of, and has tried cases to conclusion in New Jersey and New York. 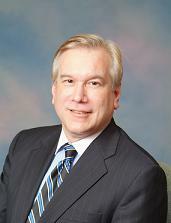 During his more than thirty years of personal injury experience, he has successfully represented personal and corporate clients in lawsuits involving catastrophic injuries stemming from allegedly malfunctioning machine products, poorly designed and dangerous consumer products, unsafe work and construction sites, improper roadway and highway design and construction, breach of building security and asbestos and lead paint injuries and damages. In addition, Mr. Rada has significant experience in insurance coverage and commercial litigation.